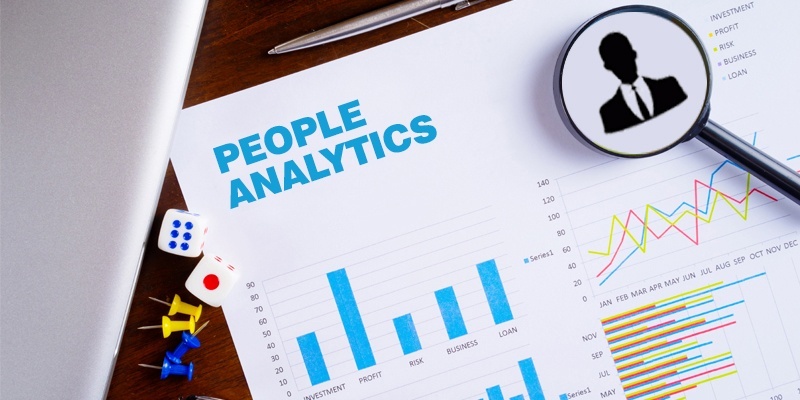 Most of the barriers to adoption of people analytics have been overcome. Modern technology platforms provide robust analytics. An entire industry has sprung up, with helpful tools to cleanse, prepare, and manage data. HR leaders understand that they need not be data scientists—they only need the expertise on the team, and it doesn’t have to be full-time help. One barrier that remains is what Douglas W. Hubbard calls the illusion of intangibles. When we talk with people about measuring what is important to the business, they voice confusion in what to measure and how to measure it. Our answer is that we should measure what is relevant to the business. However, that doesn’t move the conversation forward until we agree on what measurement means. What do you think of when we ask what measurement is? If you are like most people we talk to, you think of exact numbers: using a tape measure, computing values, or collecting scores. If that were all there is to measurement, we wouldn’t be able to measure much of anything in business. Scientists can conclude with high certainty that a planet or moon exists by changes in the orbits of nearby objects. Not only that, they can deduce its size, mass, and orbit. Your CFO makes or recommends investment decisions based on the probability of a favorable rate of return. Your Marketing Department predicts the behavior of customers by surveying a tiny sample of buyers. Business leaders are mostly risk-averse. If you can reduce the uncertainty that a business initiative will fail, you are providing a valuable service. Likewise, if you can show them that by spending $40,000 on a talent management initiative that has a 95% certainty of improving business results by $2,000,000 over five years, you are likely to get approval. You don’t need analytics to give you absolute measurements to make decisions. You only need to reduce the risk. “Measurement. A quantitatively expressed reduction of uncertainty based on one or more observations. We express the certainty of future events as a probability. Statistics can tell us what happened, how, where, when, and why. Probability says with a degree of certainty what will happen. One failure in people analytics is the billions of dollars spent trying to measure and improve employee engagement. There have been successes, and correlation analysis show us that companies with high engagement also have high profitability. However, in the aggregate, most of the investment has been wasted. If you are asking in a survey how people feel about the workplace, are you getting actionable information? Do good feelings cause better performance? If you ask instead what people and their managers do, you get useful information. Gallup reported in 2015 that managers account for 70% of the variance in employee engagement. We can show that specific behaviors affect employee productivity and retention. Stop and think what activities and behaviors make up employee development. We can track coaching sessions, feedback, learning opportunities, and participation in learning. We can use these measures to understand the probability that improving managers’ ability to coach and develop their employees will have an impact on retaining productive people. What is the decision the measurement will support? What is being measured and how does it matter to the decision? How much do you know about it now? How does uncertainty about the variable create risk for the decision? At that point, the decision comes down to whether the value exceeds the cost, but there are many ways to control costs. A small sample can tell us a lot about a large population. A valid sample of 370 will give you 95% confidence of an attribute of a population of 10,000 with a 5% confidence margin. We can use inference to estimate characteristics of an unseen population. For decades, customer service centers have been using small samples of observations to improve the skills and behaviors of their representatives. People often give up when measurement involves unknown or uncontrolled variables. Using statistical techniques, your data scientist can determine that a coaching program caused an increase in revenue per employee and not the economy or pricing. You can measure seemingly intangible preferences by how much time, money, or other things people would give up. For example, you can gauge how much employees value a shared-cost benefits program by how much a random sample of employees stands ready to contribute. The purpose of analytics is to reduce uncertainty in business decisions. Benchmarking, “best practices,” and gut instinct informed by experience can lead you to a decision. When you are embarking on important initiatives that affect your entire organization, it pays to understand the risks and to reduce them as much as possible. Let’s form your team and get started. 1. Hubbard, Douglas W. How to Measure Anything: Finding the Value of “INTANGIBLES” in Business. John Wiley & Sons, Inc. 2014.